A motion was recently filed with the U.S. Judicial Panel on Multidistrict Litigation (JPML) that seeks to consolidate federal complaints filed with regard to valsartan, a generic hypertension drug. The motion was filed late in October 2018 by Robert Kruk on behalf of himself and other plaintiffs with pending valsartan lawsuits. Kruk seeks to transfer a total of 11 complaints to the U.S. District Court for the District of New Jersey for the purpose of consolidating and coordinating pretrial proceedings. The JPML has the discretion to determine whether to centralize federal lawsuits filed against common defendants, with similar statements of fact and shared allegations. Lawsuit consolidation offers several benefits, including streamlining the discovery process, preventing duplicative discovery, and preventing contradictory rulings across multiple districts. It also offers convenience and cost-saving benefits for all involved parties and witnesses. Valsartan is a generic blood pressure medication. Generic tablets are often manufactured overseas, most notably in China and India. On July 5, 2018, a lab test revealed that batches of valsartan tested positive for N-nitrosodimethylamine (NDMA). NDMA has been linked to an increased risk of several types of cancer in humans. The contaminated active ingredient in valsartan was supplied by Zhejiang Huahai Pharmaceuticals in China. Since July 5, multiple recall notices have been issued for batches of valsartan tablets. One of the most recent recalls affects pills sold by Remedy Repack. The Remedy Repack pills contained active ingredients manufactured by Hetero, which is a company based in India. 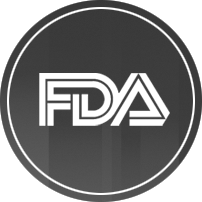 The U.S. Food and Drug Administration (FDA) has halted all imports of manufactured medications and drug ingredients originating from Zhejiang Huahai Pharmaceuticals. The alarming turn of events regarding the contamination of valsartan pills is still relatively new, however, public awareness is growing and lawsuits have already been filed. There are at least 10 class action lawsuits filed in the federal court system, along with an individual lawsuit. Patients have expressed concern that the impurities in valsartan may increase their risk of deadly diseases like cancer of the kidneys, liver, bladder, stomach, or other components of the digestive system. Robert Kruk—the plaintiff who filed the motion with the JPML in favor of centralizing lawsuits into a multidistrict litigation—has expressed the view that many more defective drug lawsuits regarding valsartan will continue to be filed as public awareness grows. His motion states, “It is reasonable to expect that more cases will be filed as the public becomes increasingly aware that a generic drug meant to treat heart disease – the leading cause of death for Americans – has been contaminated with a carcinogen, possibly for years.” The plaintiffs are expected to allege that they could have avoided a diagnosis of life-threatening cancer if their blood pressure medication hadn’t been contaminated with NDMA. If the JPML does decide to establish an MDL for valsartan litigation, then federal lawsuits filed in the months to come may be direct filed in the MDL. Following coordinated pretrial proceedings, the judge will schedule a handful of bellwether trials. These are used to assess jury reactions to evidence and testimony. At this stage in an MDL, settlement negotiations are likely.